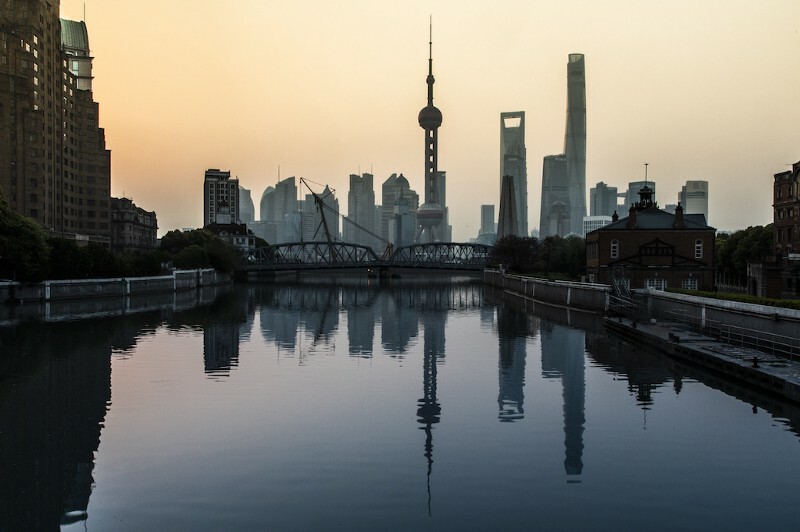 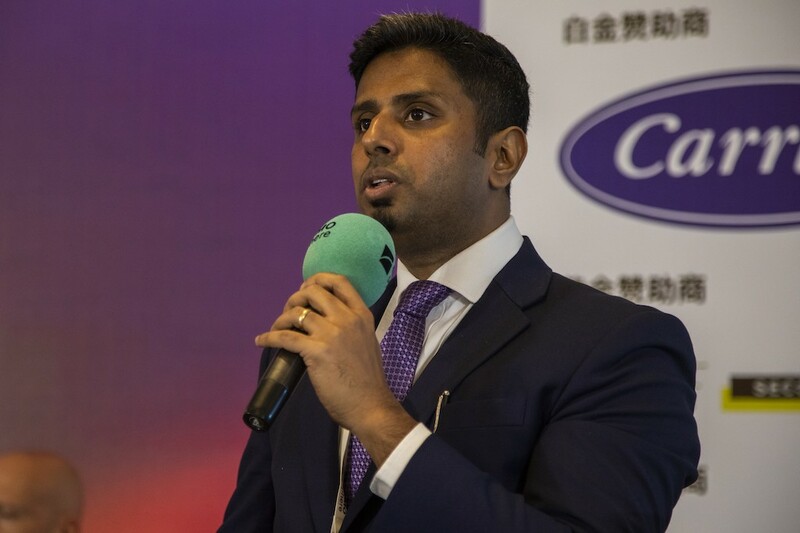 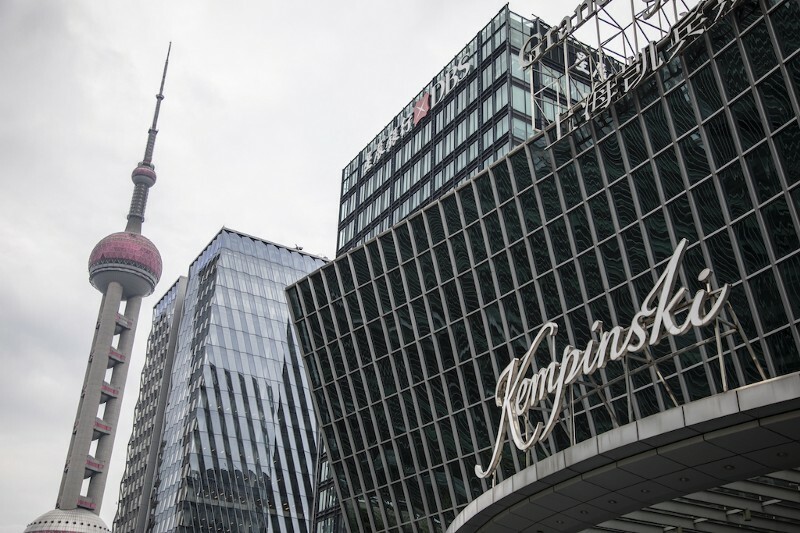 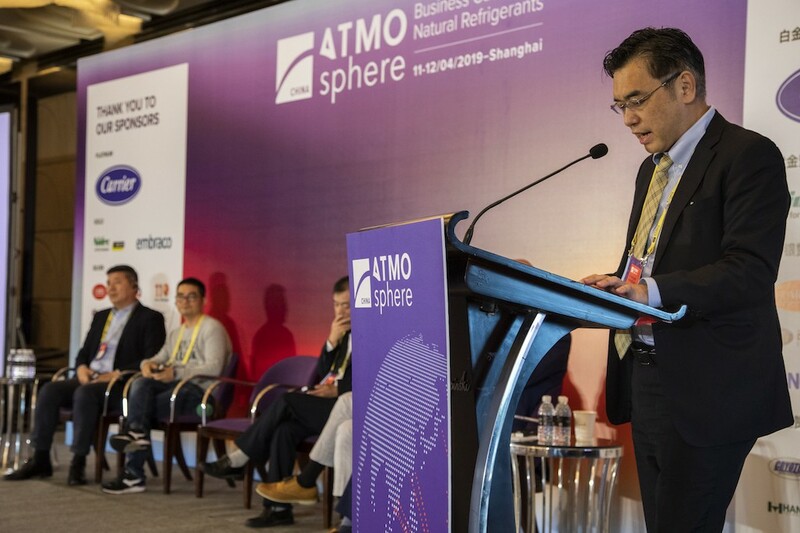 The second ATMOsphere China conference took place in Shanghai on 11–12 April 2019, corresponding with China Refrigeration (9–11 April), the largest refrigeration technology exhibition in the Asia-Pacific region. 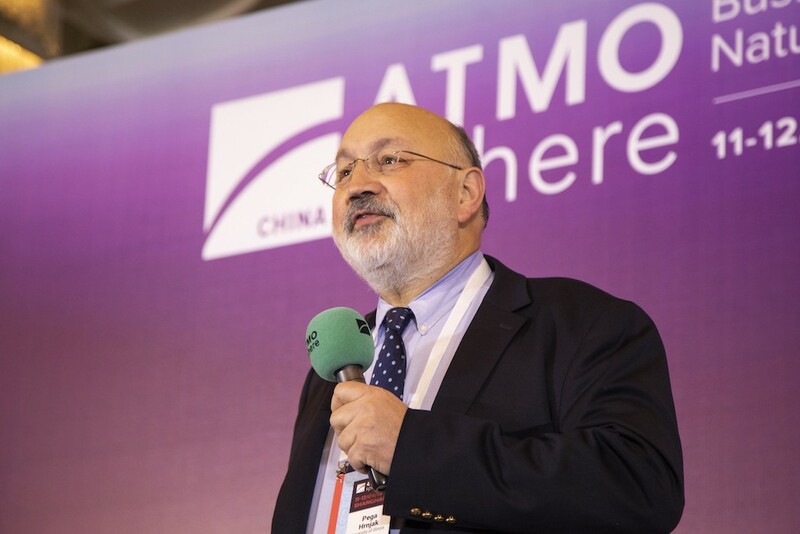 Presentations are available online, click here to access them (via the conference programme). 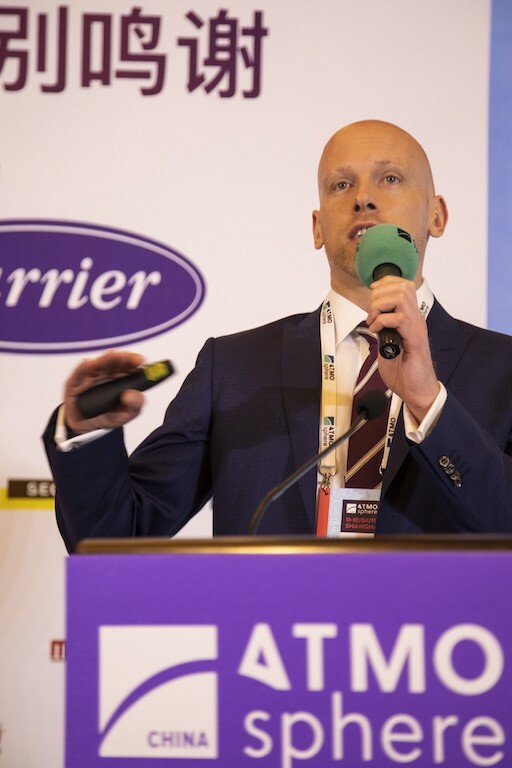 View the conference summary slides by clicking here. 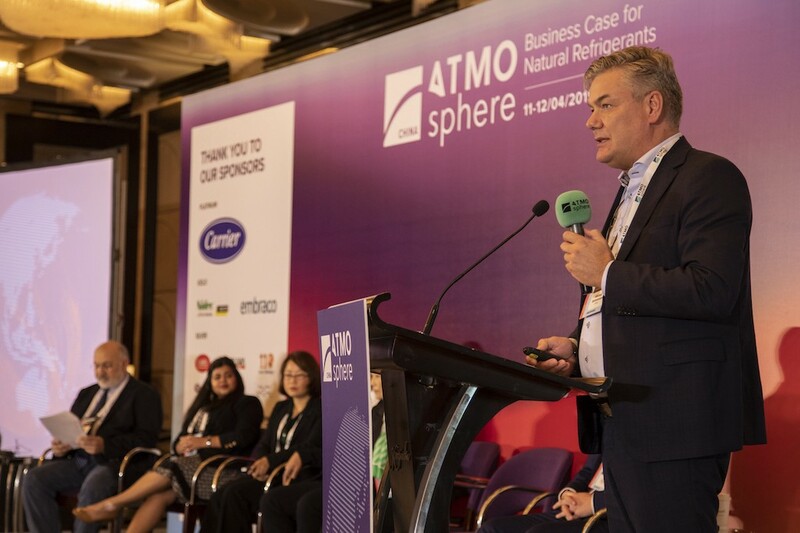 Stay up to date with ATMOsphere events and everything else natural refrigerants, sign up for our newsletters here. 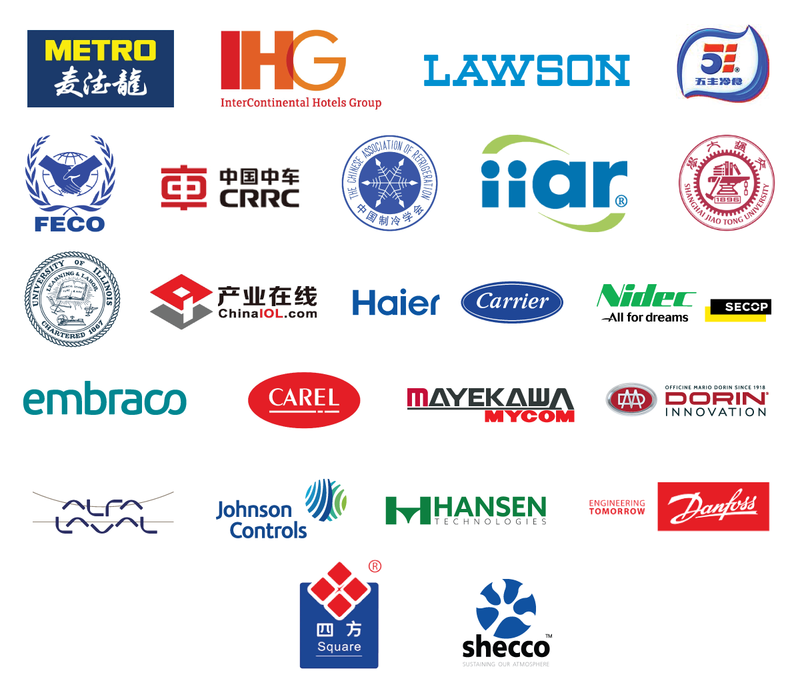 You can choose which newsletter(s) you’ll receive! 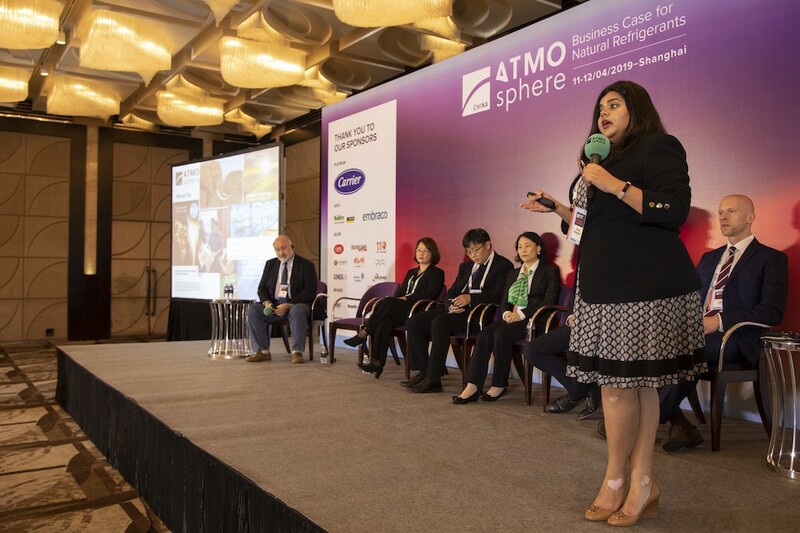 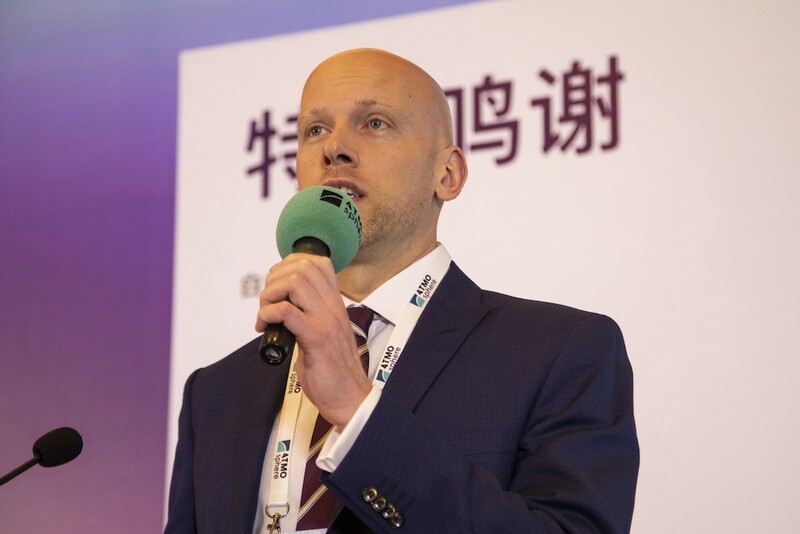 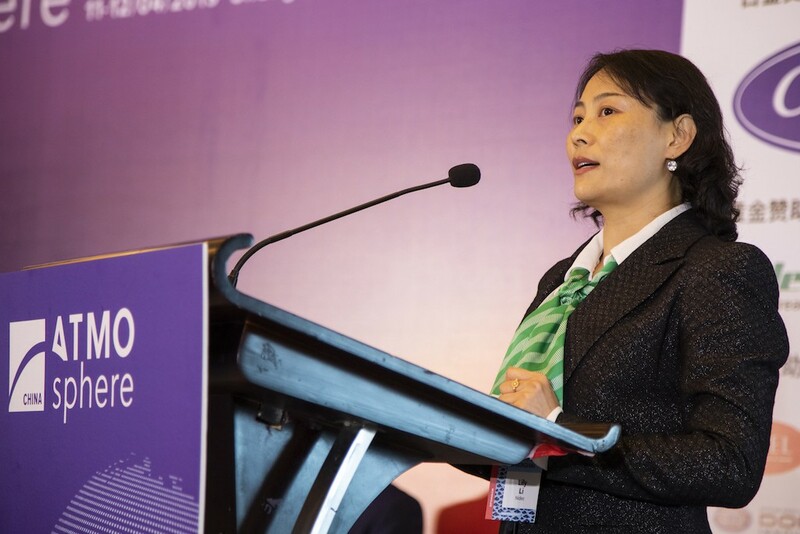 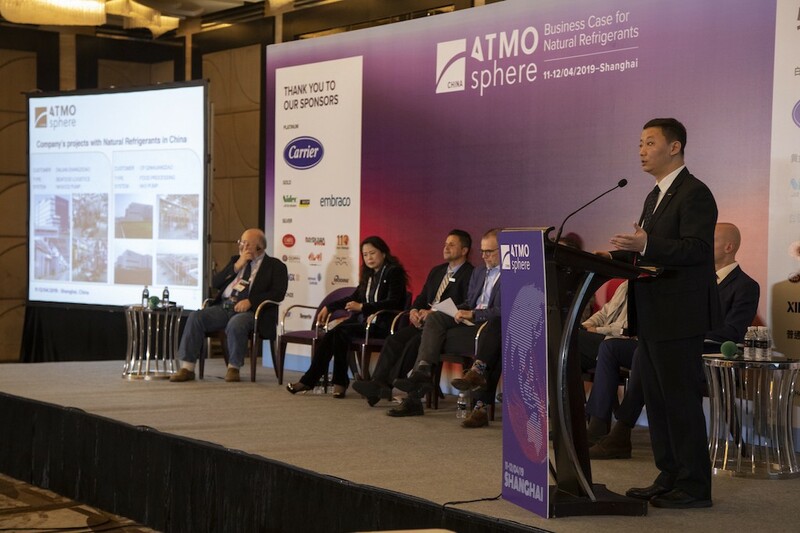 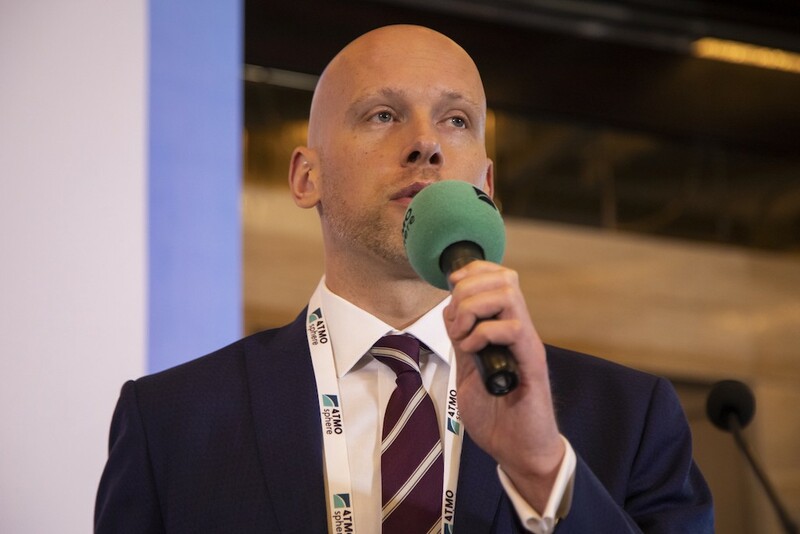 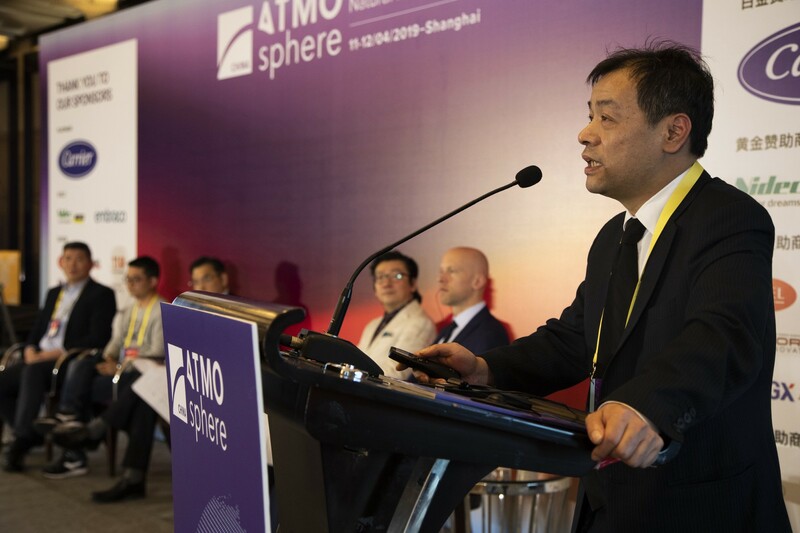 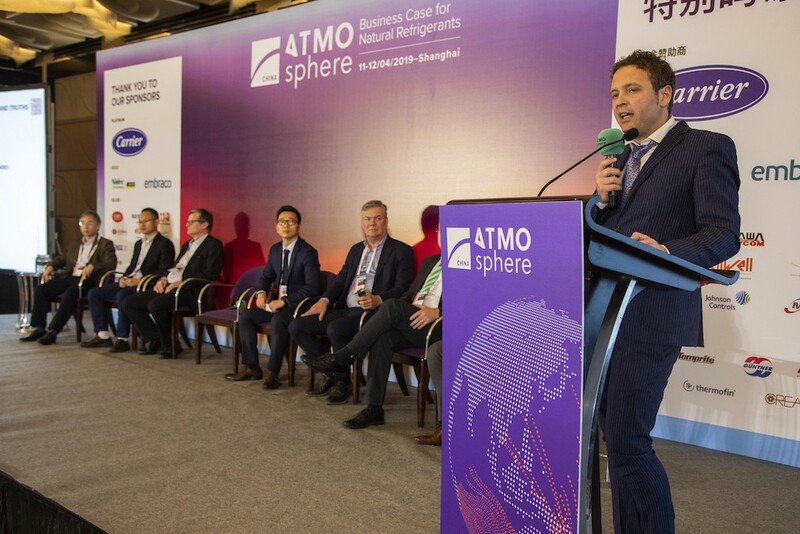 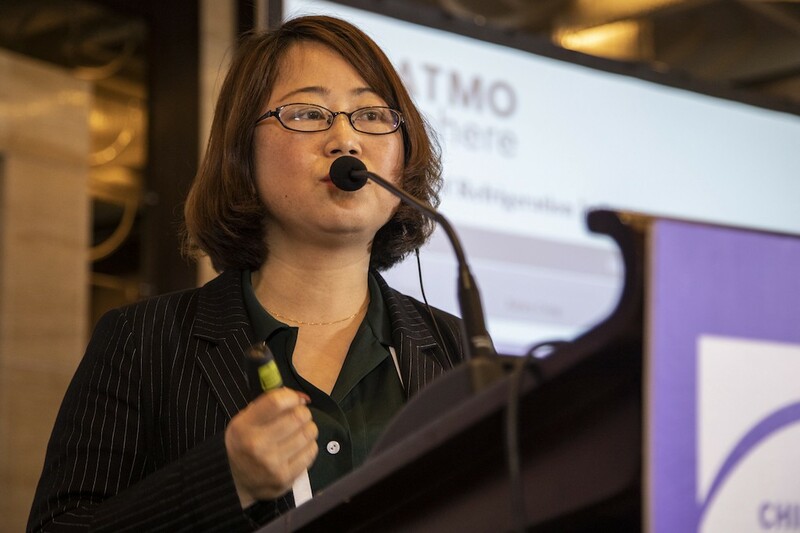 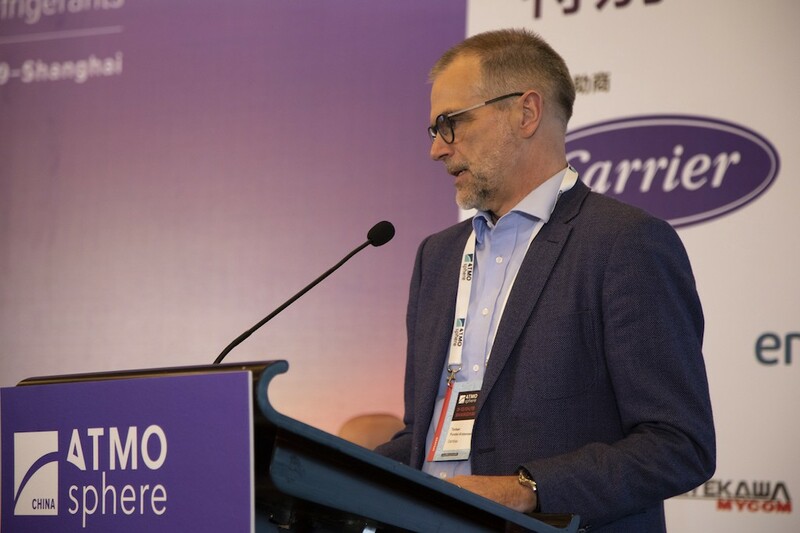 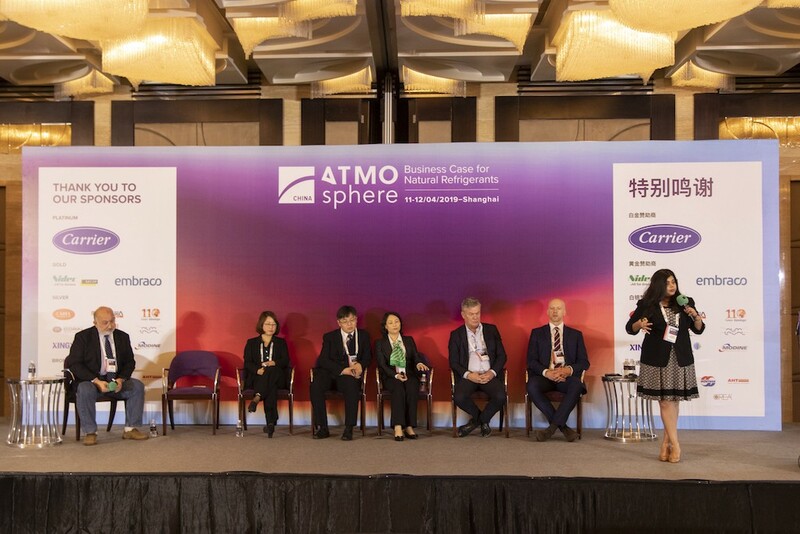 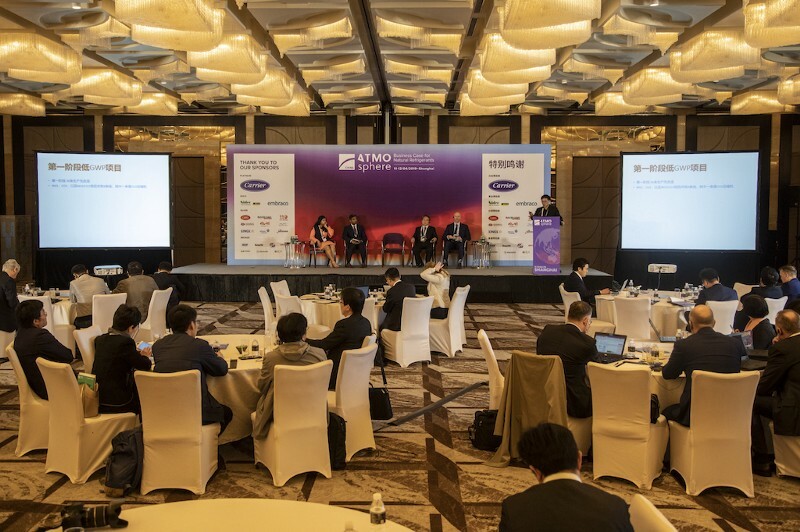 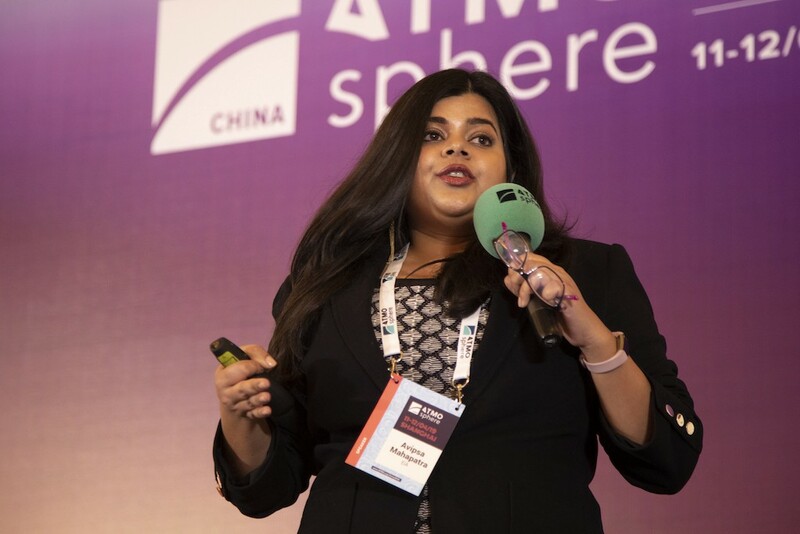 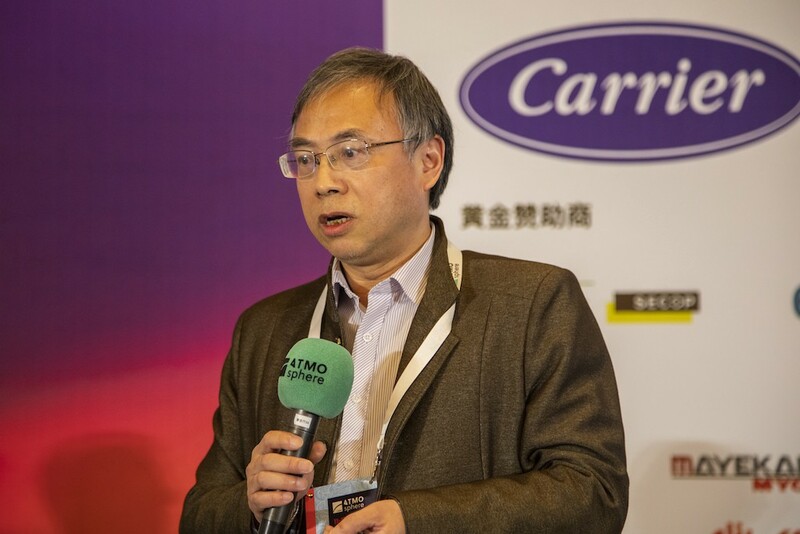 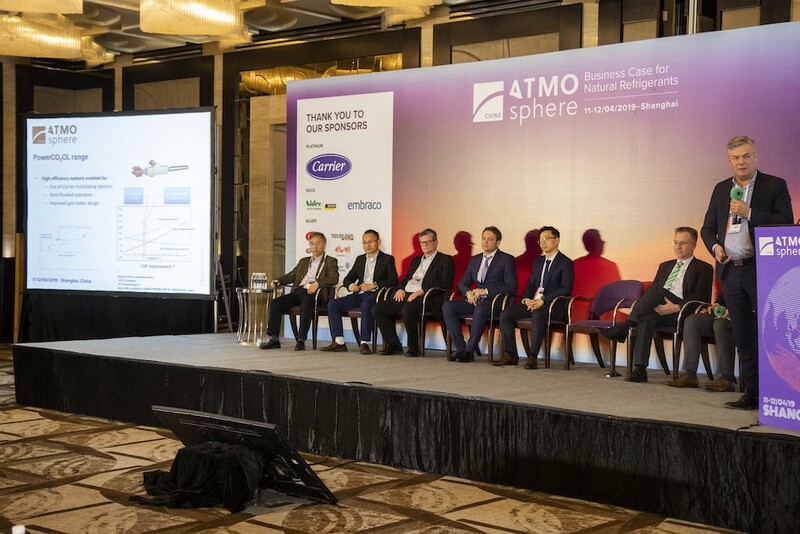 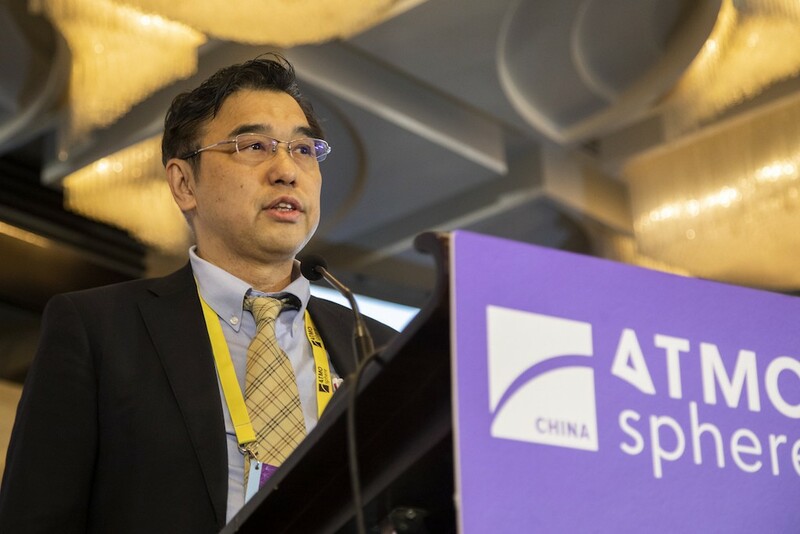 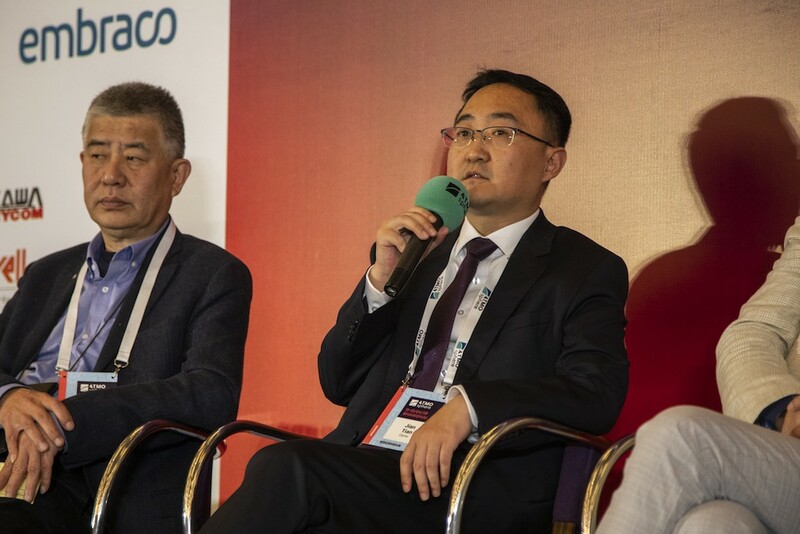 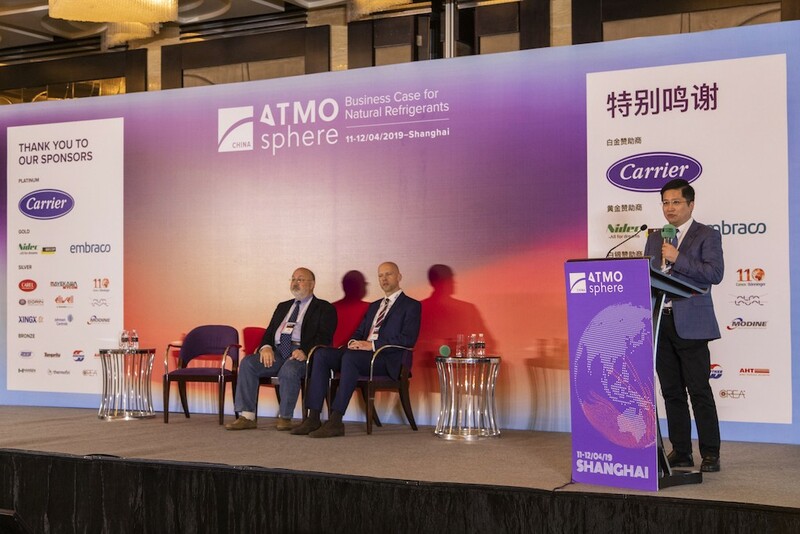 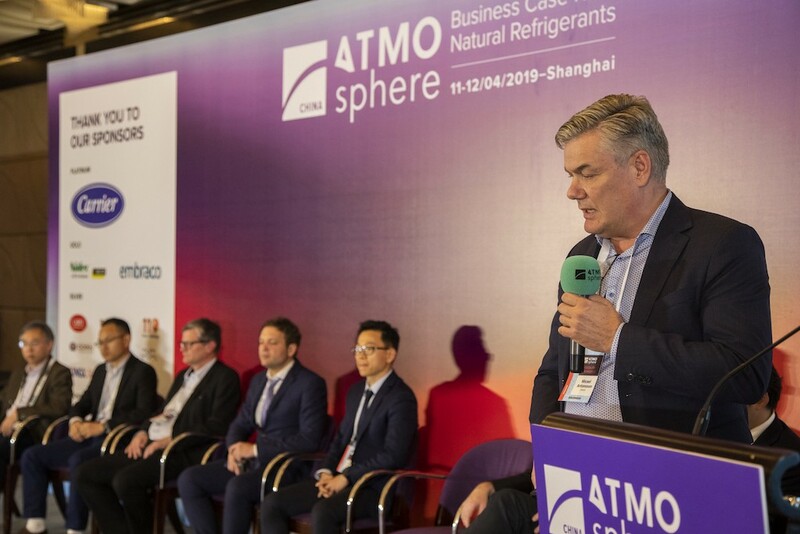 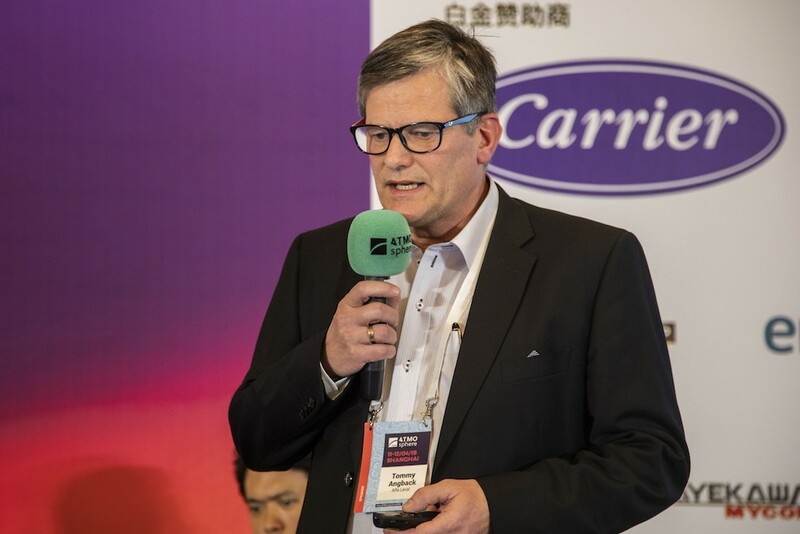 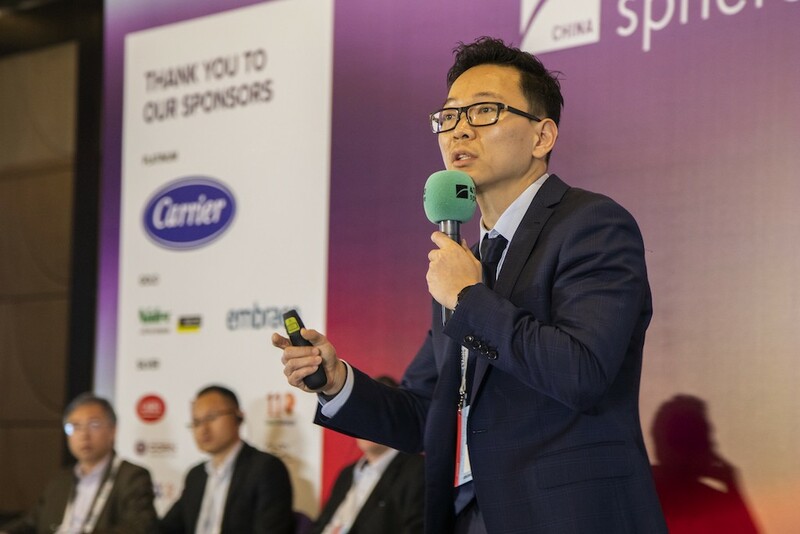 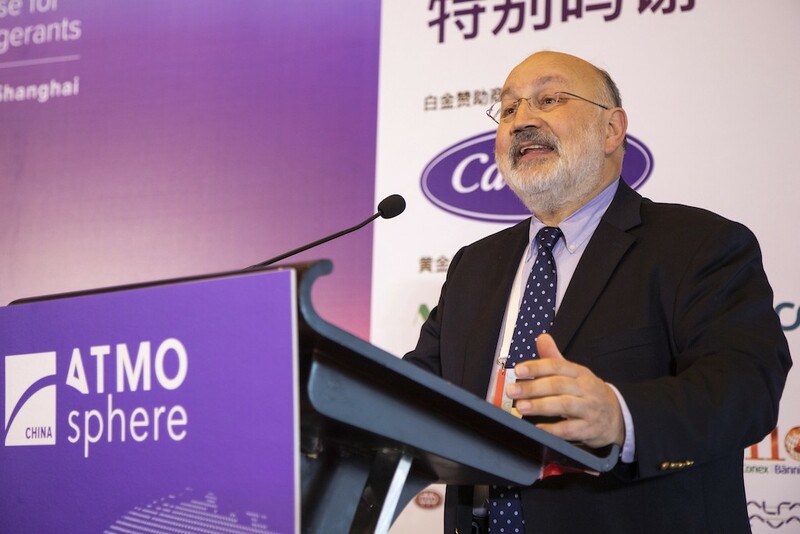 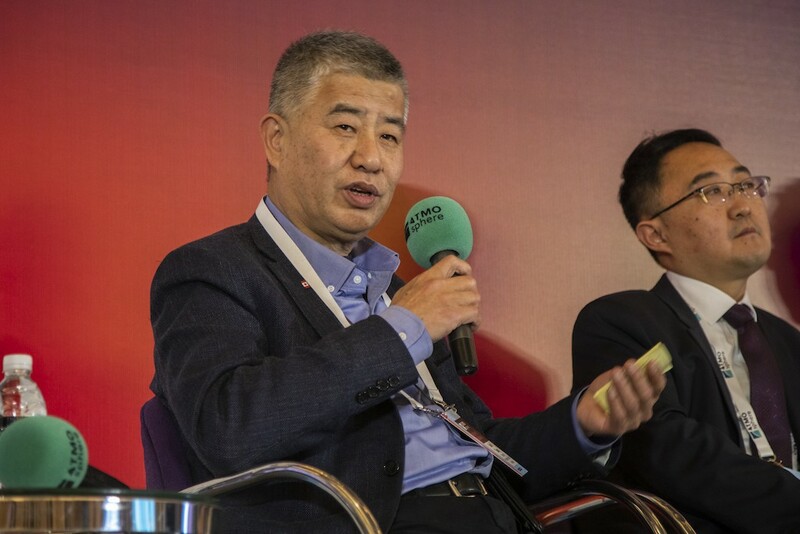 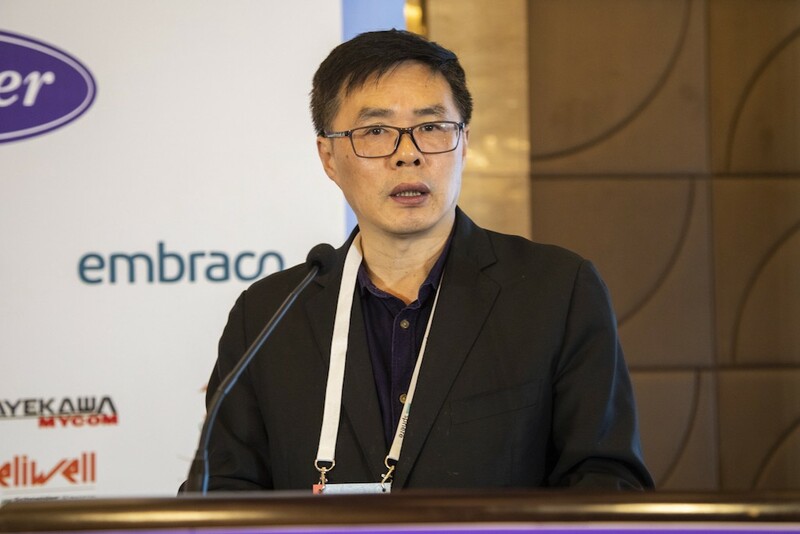 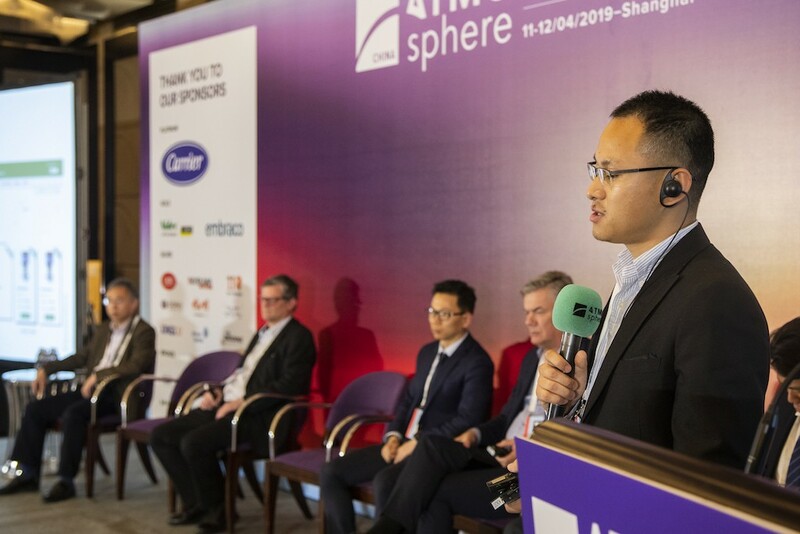 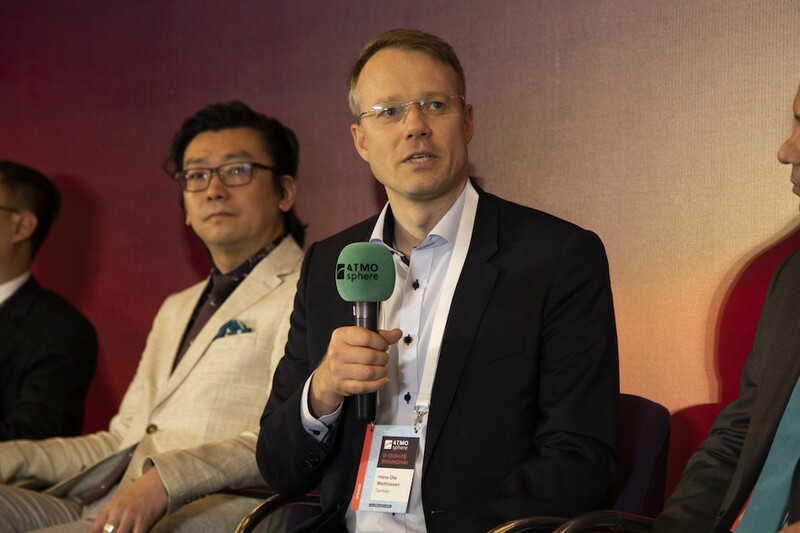 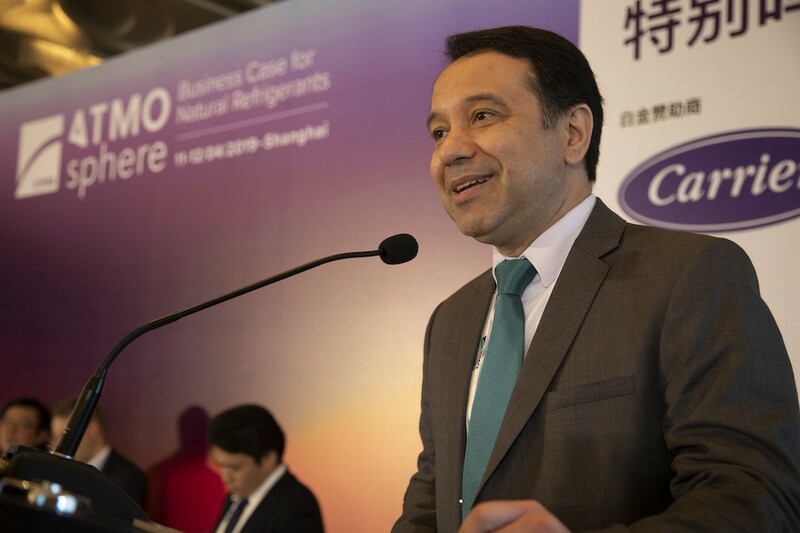 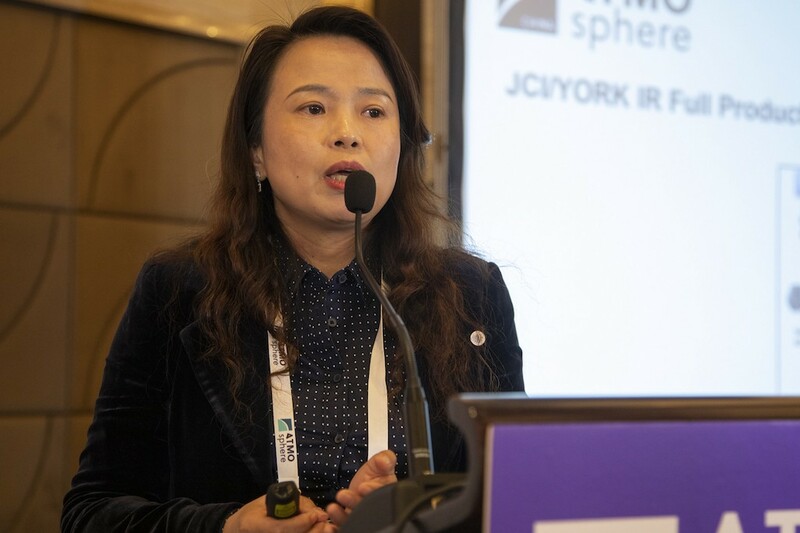 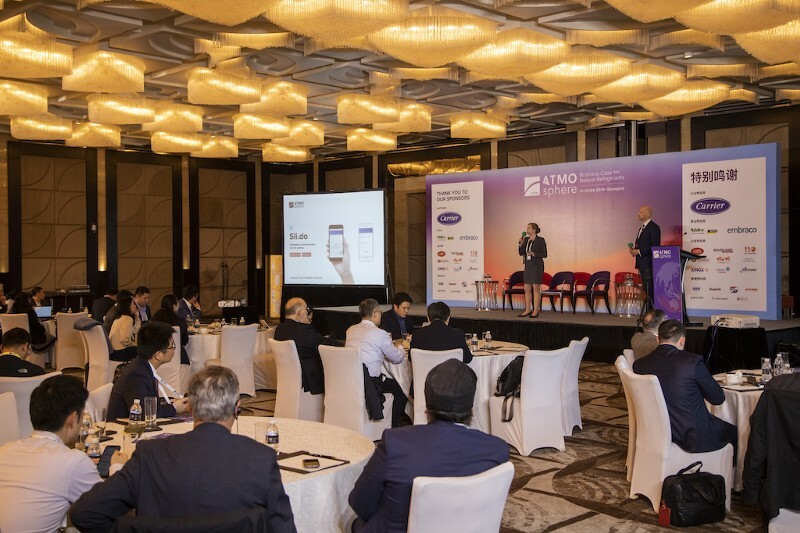 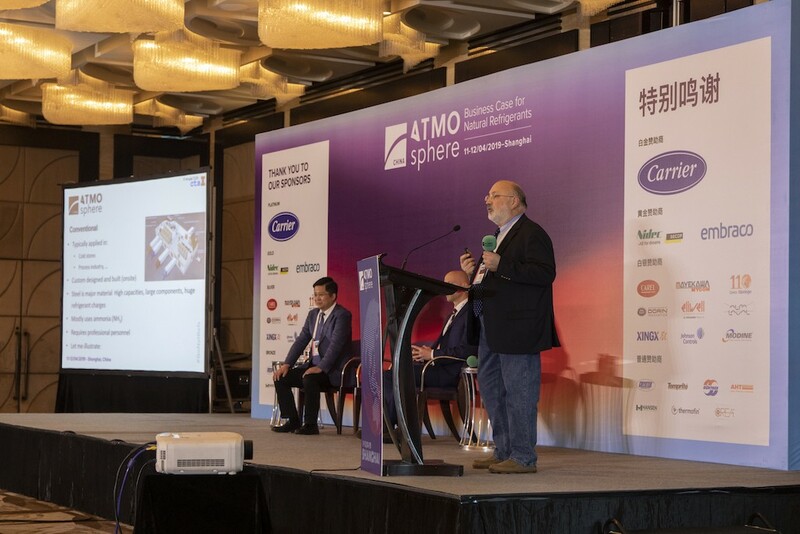 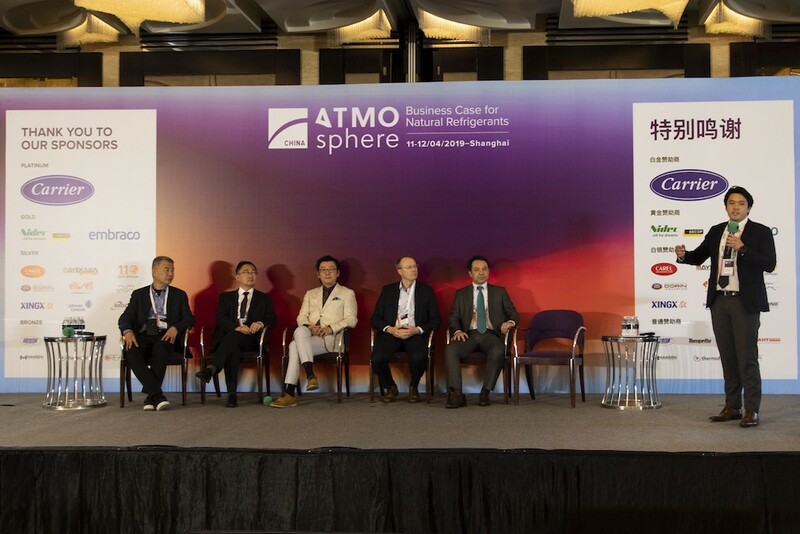 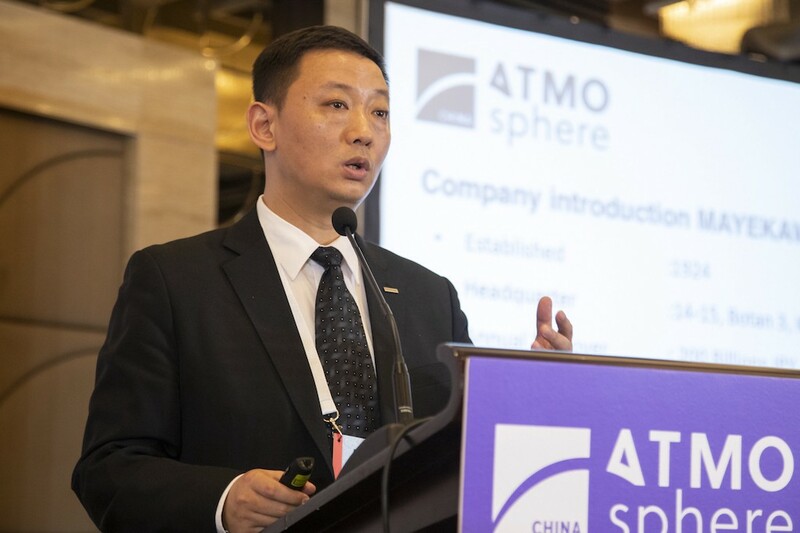 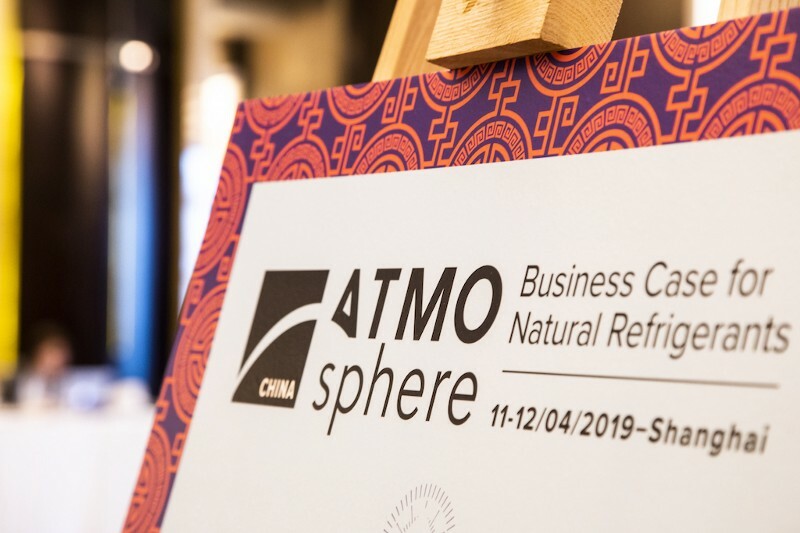 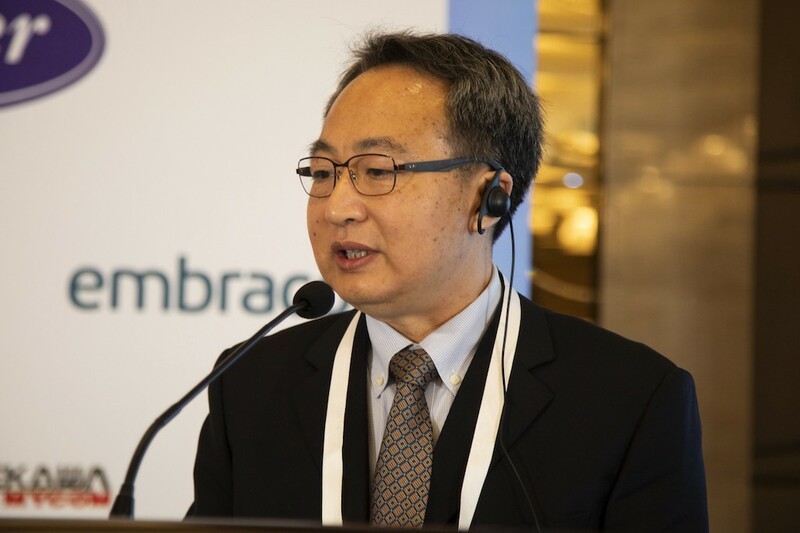 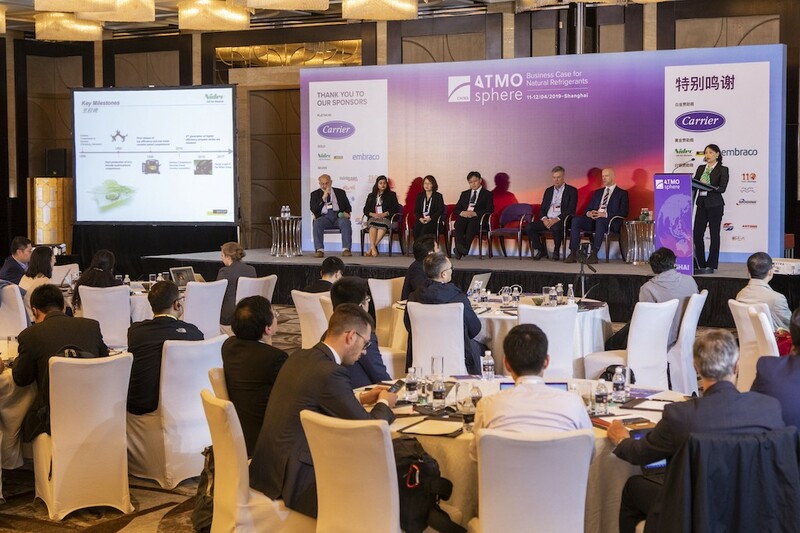 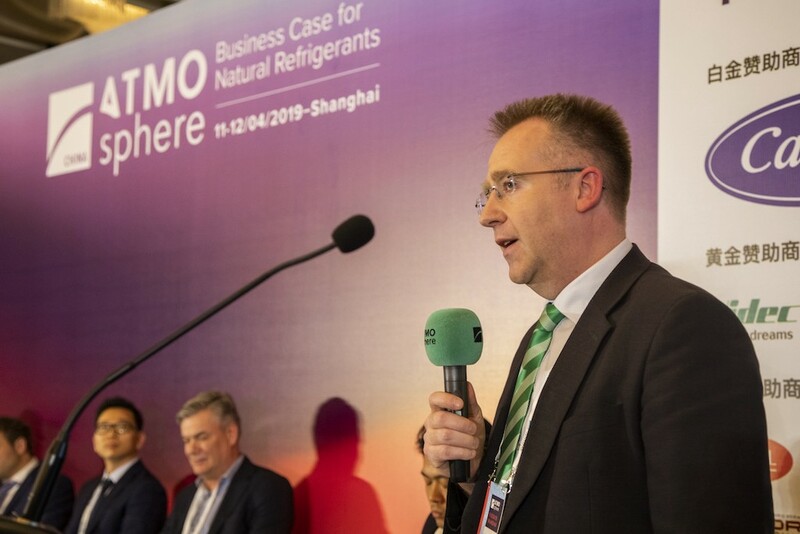 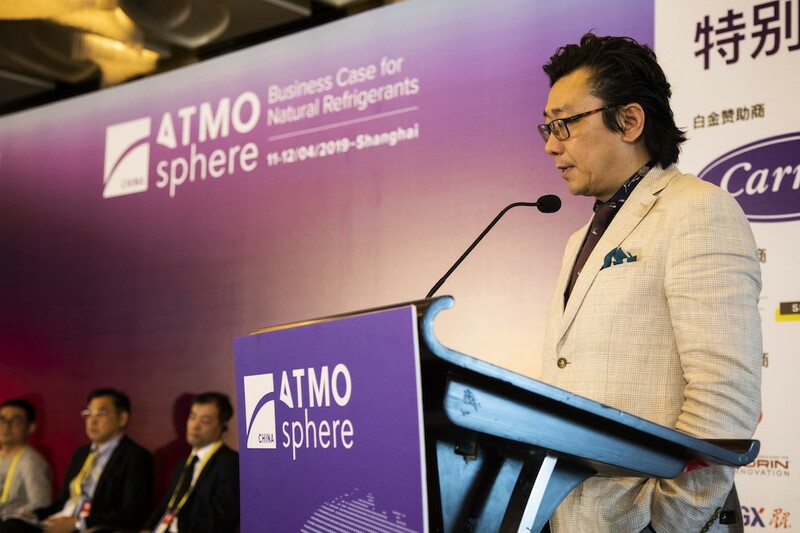 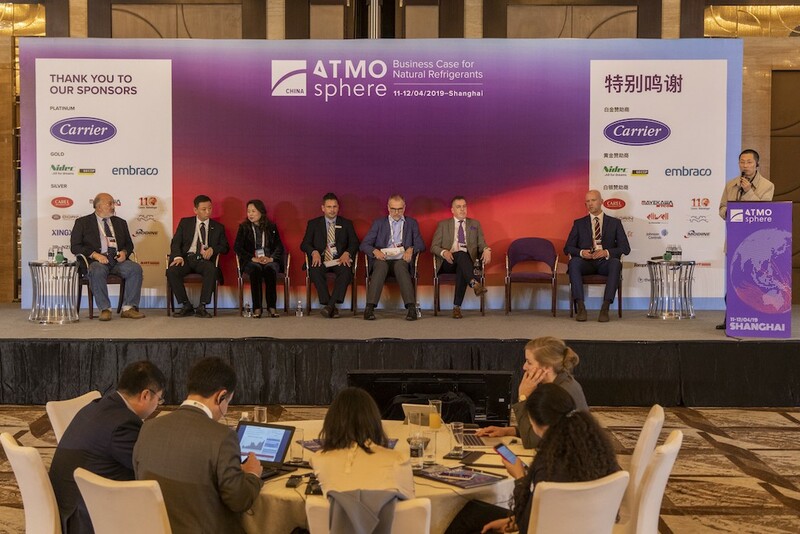 Joanne Lu, managing director of Carrier Commercial Refrigeration Asia, talks about why the company is betting on the growth of natural refrigerant use in China at ATMO China 2019, held 11–12 April in Shanghai. 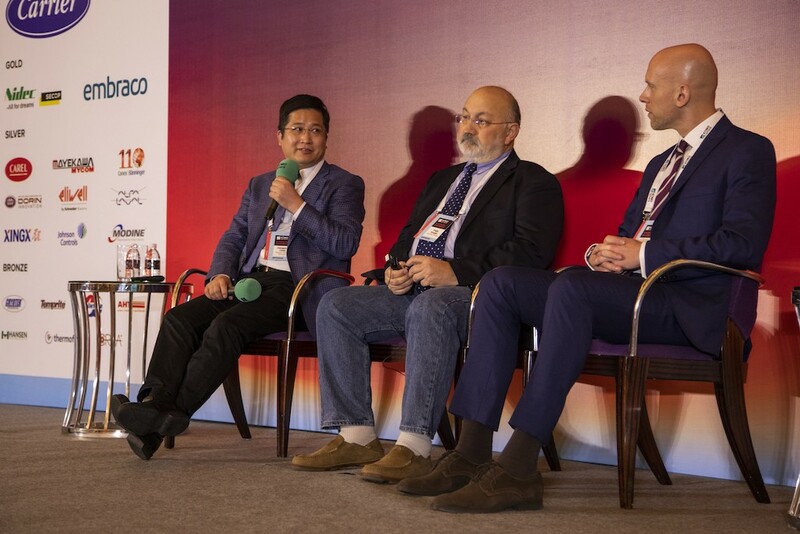 You can follow our coverage from the conference right here with the latest updates on top. 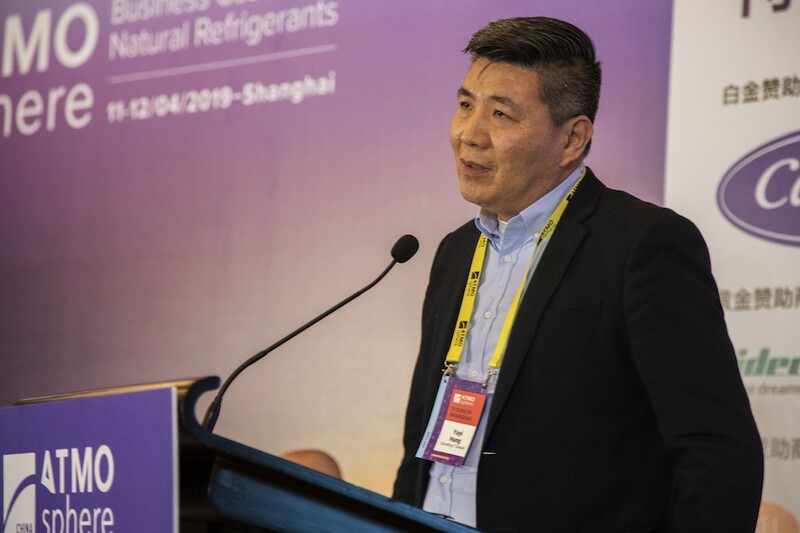 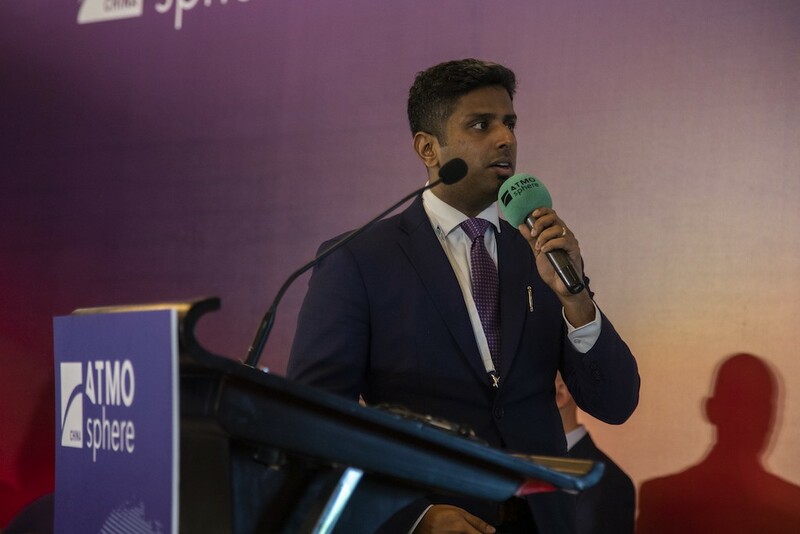 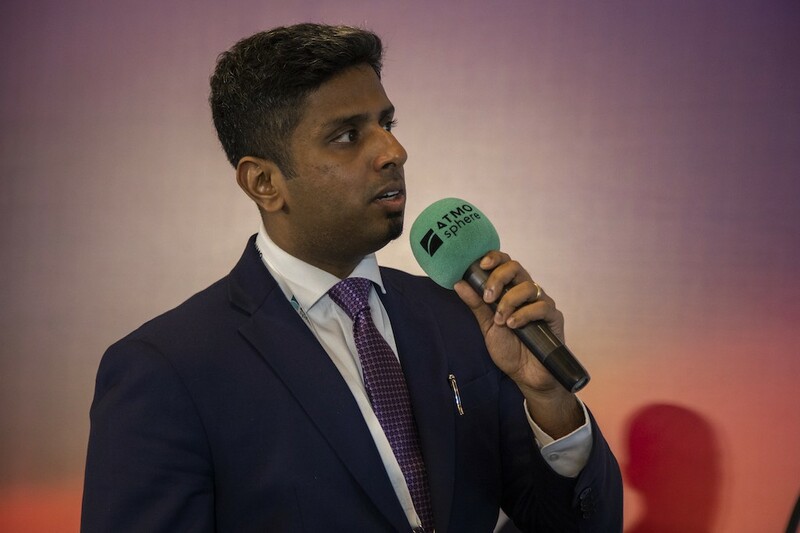 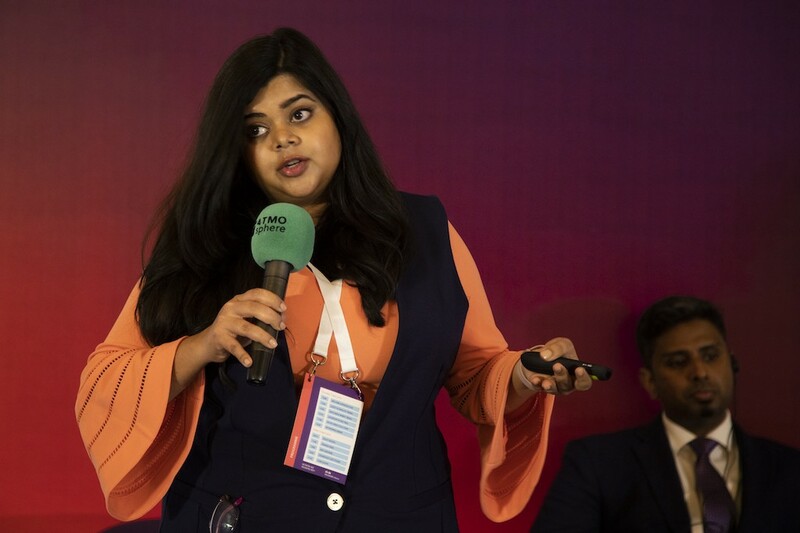 Leading domestic and international technology suppliers showcased cutting-edge technology case studies in commercial and industrial refrigeration, and heat pump sectors. 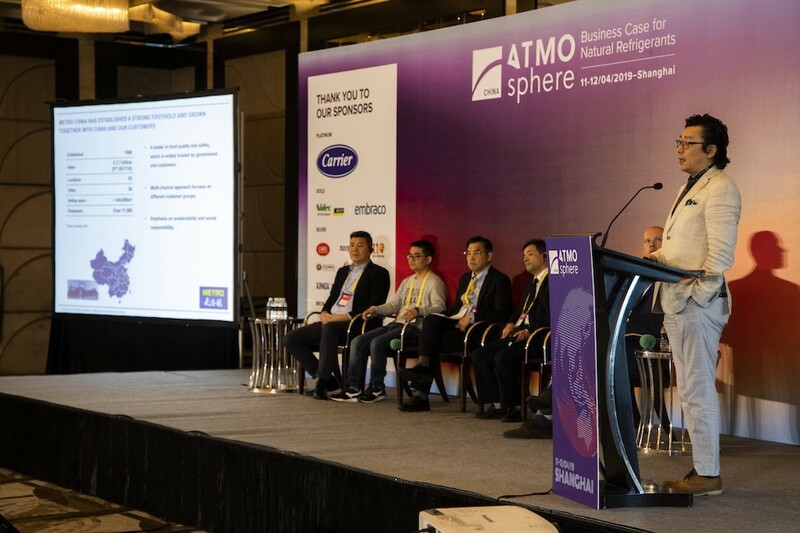 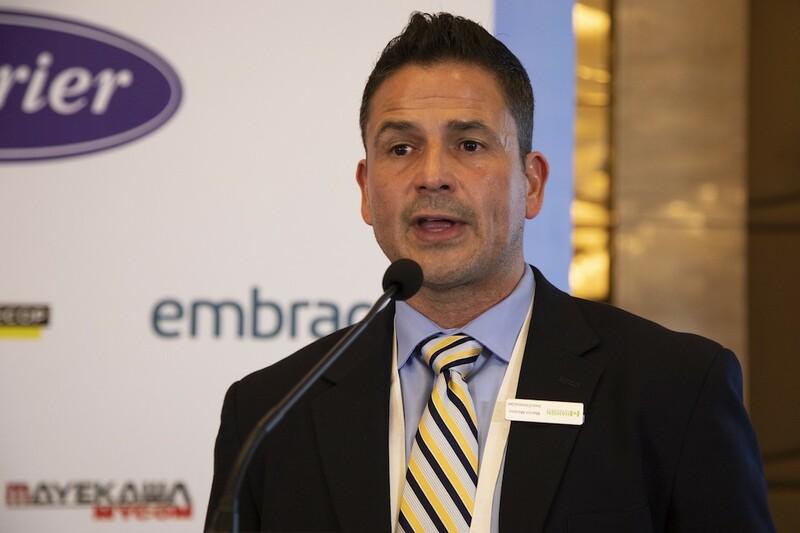 Leading end users shared their experiences using different types of natural refrigerant technologies, including benefits, challenges and future plans. 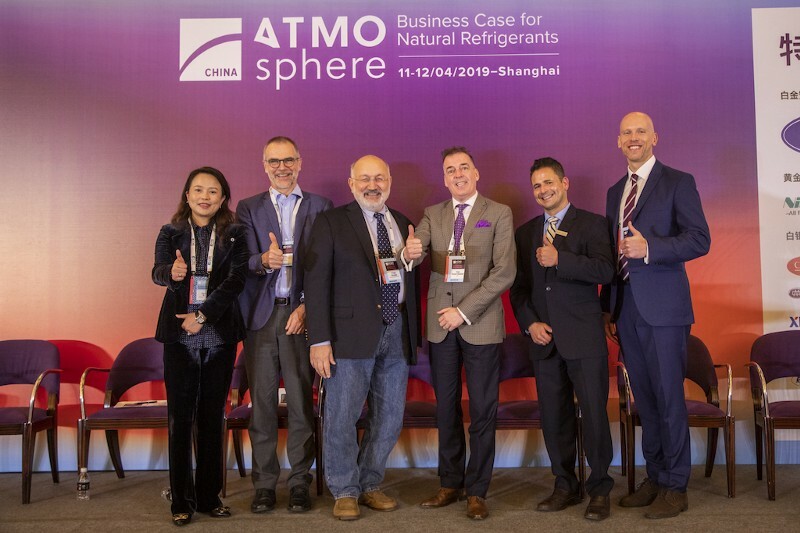 In this brand-new session, leading experts discussed the current and future natural refrigerants-based training opportunities in China. 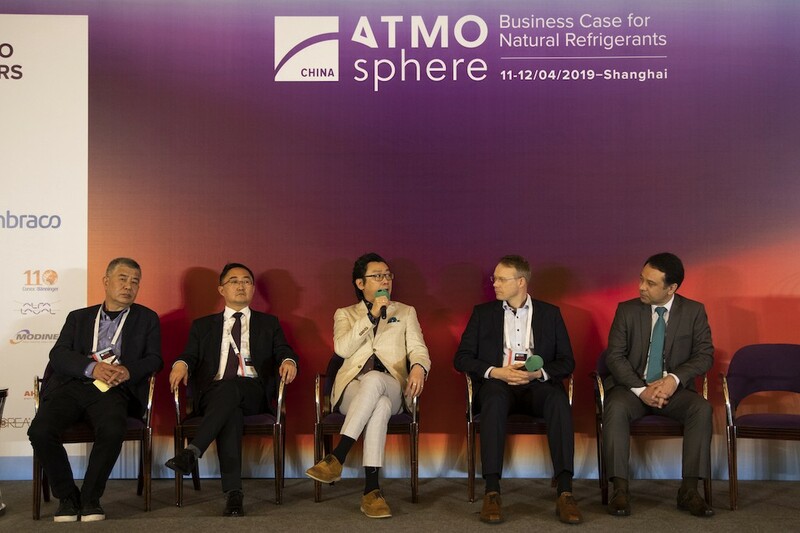 An in-depth discussion among leading industry associations and experts on the safe and proper implementation of the latest ammonia-based refrigeration technologies in China’s cold chain sector. 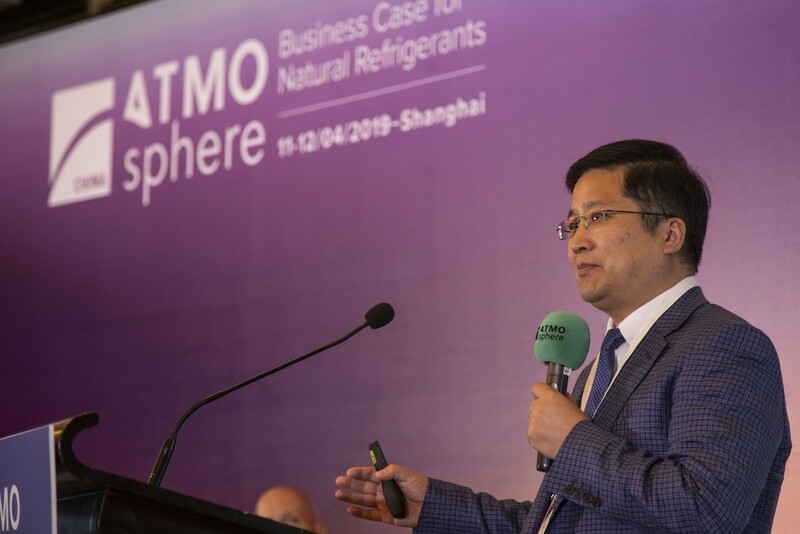 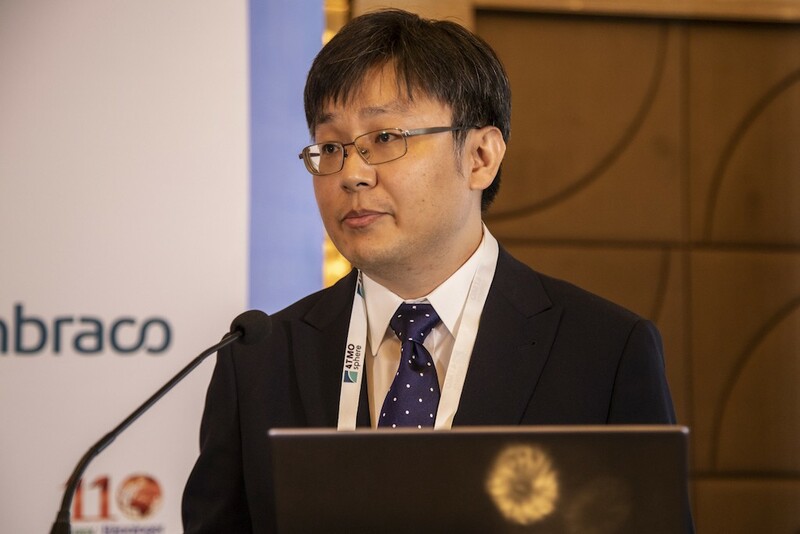 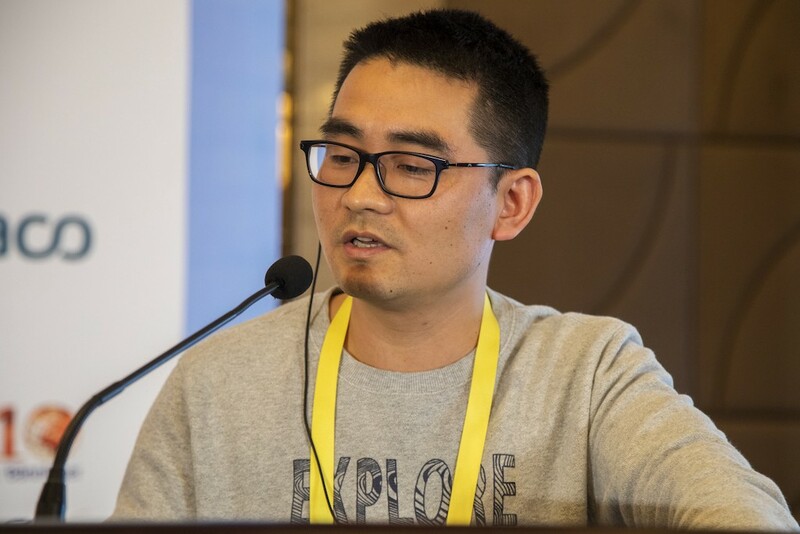 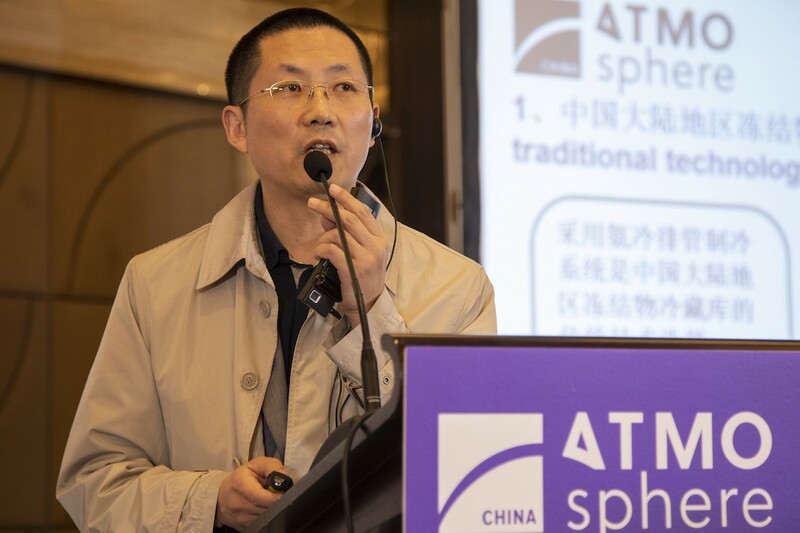 Jin Ma, Chinese Association of Refrigeration (CAR), spoke about methods of reducing #ammonia charge in large #coldstorage #refrigeration systems in #China. 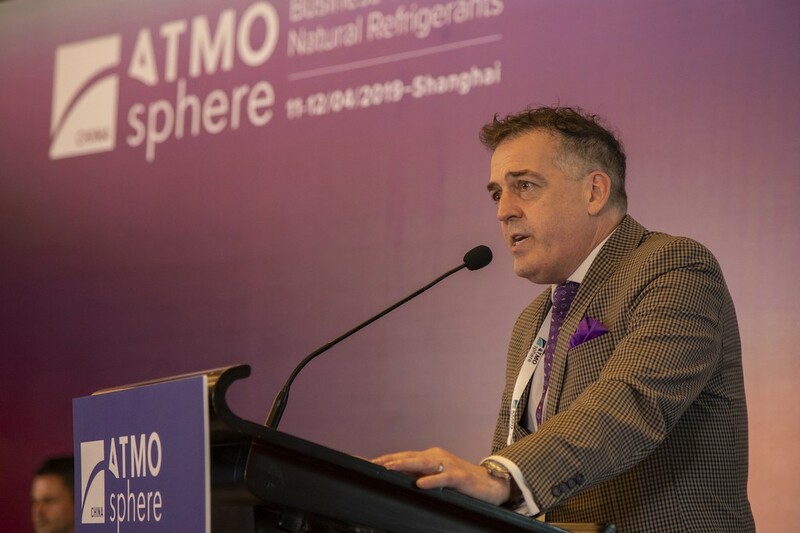 Guy Evon Cloutier, International Institute of #Ammonia #Refrigeration (#IIAR), introduces IIAR’s goals and #advocacy of #training and #standards for ammonia use in #China. 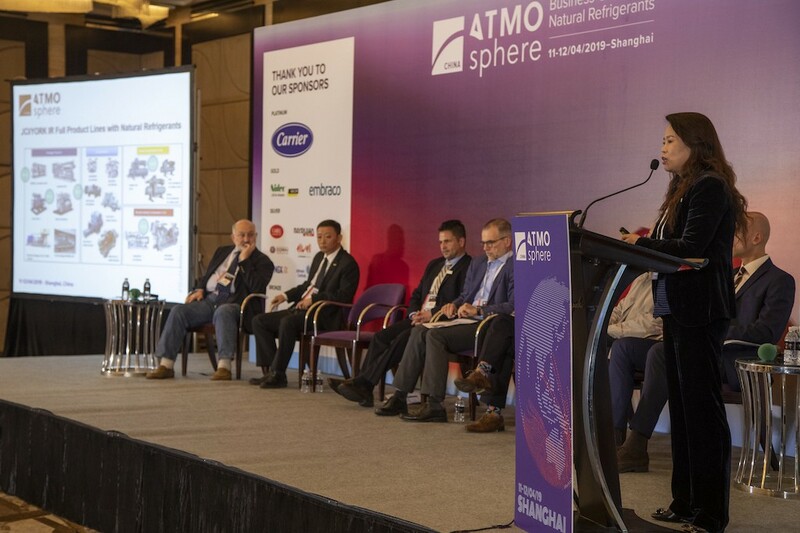 Keynote presentations by Prof. Pega Hrnjak and Prof. Jiangping Chen where they gave an exclusive in-depth look at the latest technology trends on natural refrigerants CO2, ammonia and hydrocarbons. 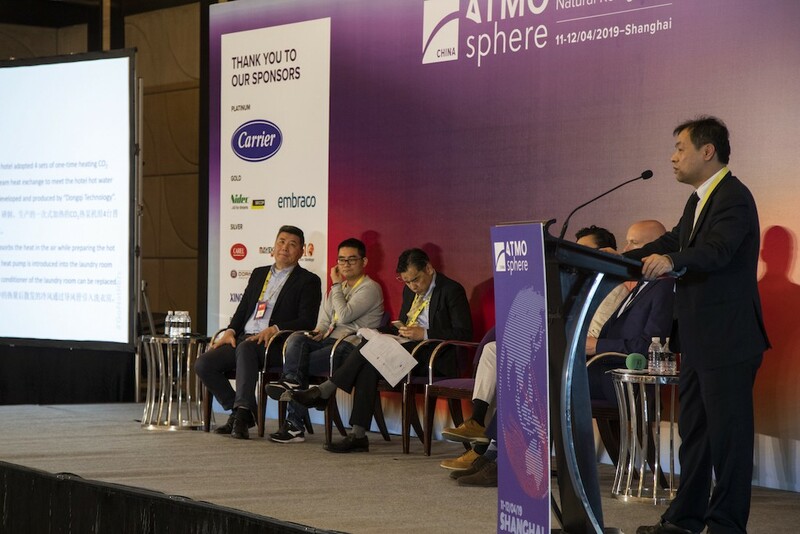 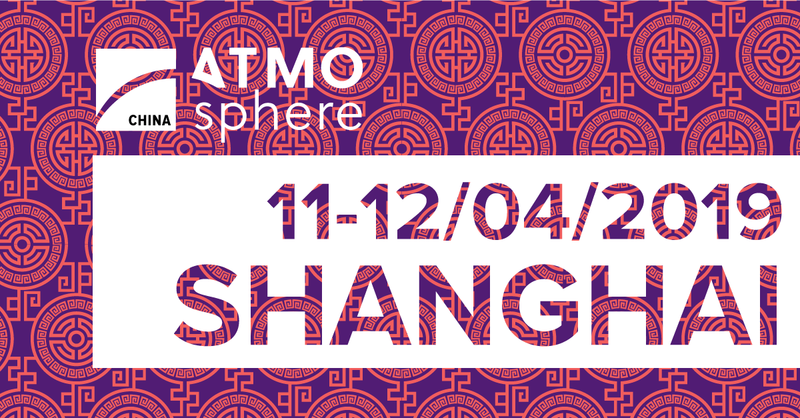 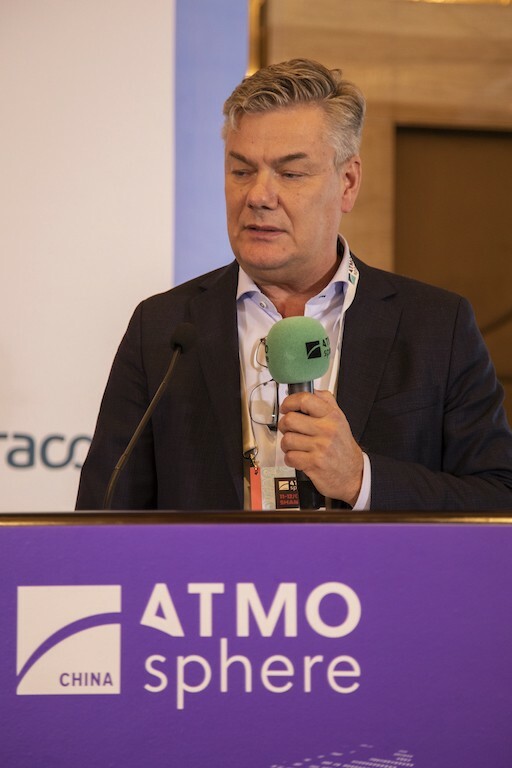 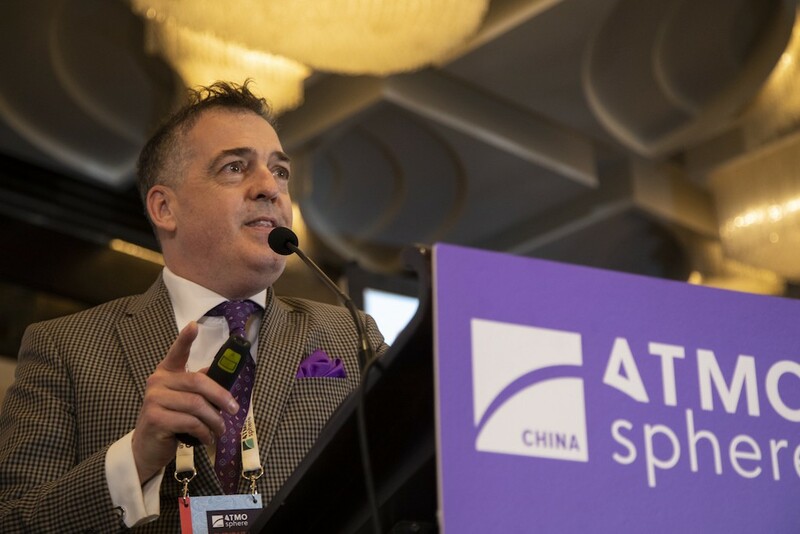 Your sneak peek: Check out here the list of organisations registered to attend ATMO China 2019 so far — with many more to come! 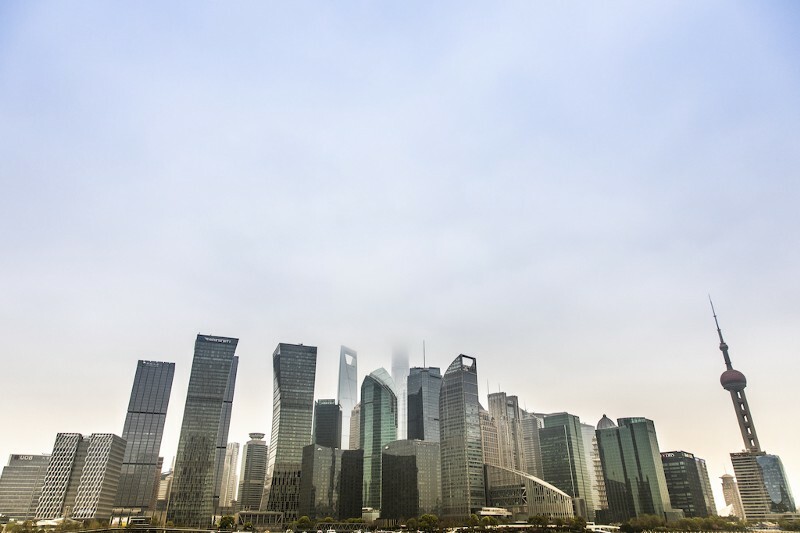 List as of 19 March 2019. 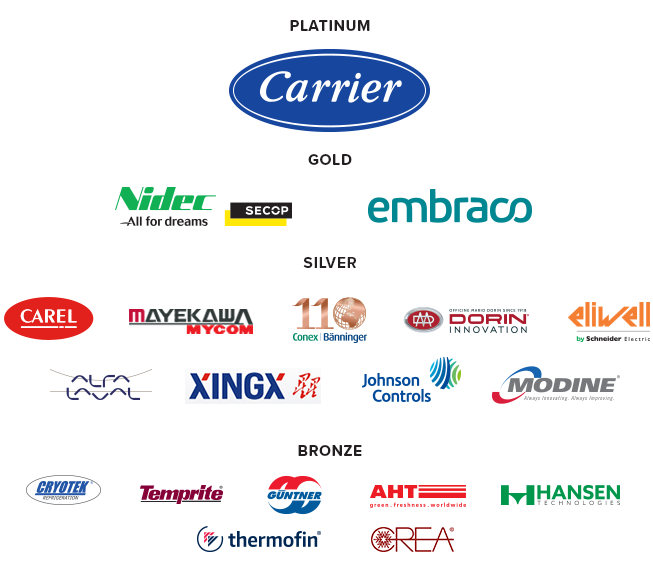 A very warm welcome to Carrier, our Platinum Sponsor — a leading supplier of high-efficiency turnkey refrigeration systems and services in the food retail industry. 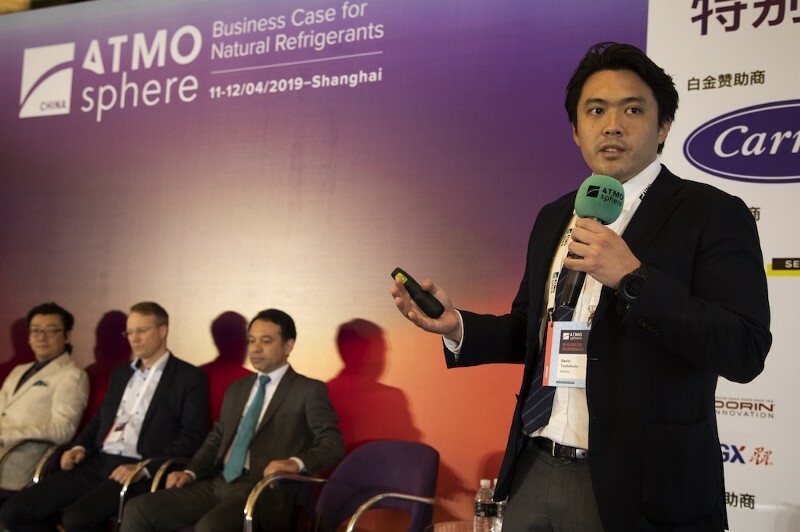 The company provides a wide range of natural refrigerant solutions operating within each climate zone and for almost any application — from small retail stores to large supermarkets, distribution centres, and industrial applications.